Admissions counselors are available on each campus to assist potential students and current students in becoming a college student, selecting majors, choosing classes, and much more. Students work with their counselor to schedule their first semester of classes as well as to learn information about the college and community that will help them be successful throughout their college careers. 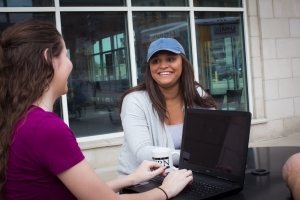 Admissions counselors are also available to speak to groups and individuals in the community about attending Northern and the services Northern has to offer. These helpful and friendly individuals help you take the "don't" out of "I don't know." If you wish to transfer to another college or university after completing your studies at Northern, your academic advisor and campus counselor can help you. Click on the name of your campus counselor above to send an email, or contact them by the phone numbers listed.